Did you know that Briar Rose Fibers now has silk fiber? She’s dyeing silk bricks. I have loved Chris’ sense of color for a long time – deep organic shades. I frequently call it shades of dirt, but not in a bad way – it’s rich and multi-hued with color grounded in browns. I dug in my stash for some Briar Rose fiber to blend it by plying with and came up with two possibilities in BFL. Just from looking at the photo which one would you choose? I bet on the darker colorway, it has more colors that are similar, and it’s closer tonally for less marling. I spun finer than I usually do, woolen for the BFL and worsted for the silk. I was surprised (aren’t I always?) about a couple of things. 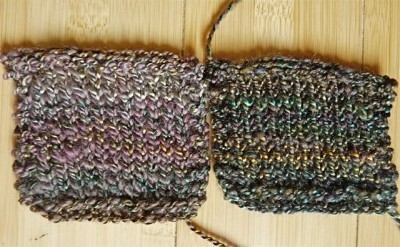 The lighter colorway didn’t marl with the silk, they blended together really well, especially in the knitted swatch. The darker colorway didn’t pop with the silk like I expected, too many colors too close in tone. But I do like them both. I can’t decide. I think I like them both equally, and I think they would look beautiful worked in something together. To celebrate the beginning of fall (and my kids going back to school!) 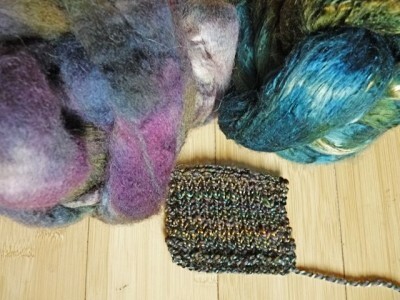 Briar Rose Fibers is giving away one dyed silk brick to a lucky Knitty Blog reader. The prize value is $45.00 US. The usual rules apply: Leave a comment to this post before midnight, eastern time, on Thursday, September 8, 2011. One comment will be chosen at random to answer a skill testing question. If the reader answers correctly s/he will win a dyed silk brick from Briar Rose Fibers. What lovely silk and great swatches! Before you spun the 2 together, I would have pick the darker of the two. After you spun it, I like the lighter one the best. The gold in the silk just pops out. I like the dark one also for a winter project. I always love these experiments! That silk is gorgeous. I love it plied with the darker BFL. Briar Rose has the most lovely colors. I’ve only tried her yarn, not her fiber. Can’t wait to get my hands and wheel on some! I’m surprised; I would have picked the darker color, but I prefer the lighter one after seeing them knit up. I love spinning silk; I’ve never tried a brick. Oh that fiber looks so lovely! 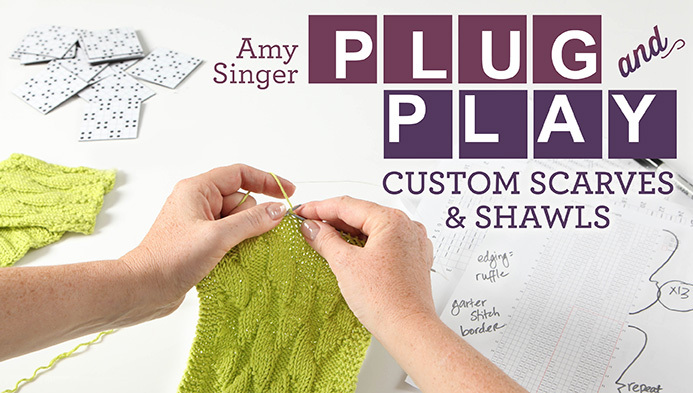 I’m going to pop on over to Briar Rose fibers and take a look myself. I like the darker color because I can more clearly see the green and gold against the background. I’m a new spinner, so I’d love to try silk! I’ve never spun a brick…love Briar Rose Fibers though, her BFL is awesome to spin! The silk is just lovely – and I share your love for ‘dirty’ color. It’s so earthy and vibrant. OH Oh OH I love both. I’m a fan of Briar Rose yarns and own many skeins. In fact my current sweater on needles is a Grandma’s Blessing yarn in red! I’m just learning to spindle spin fiber. Oh I love it! Count me in! I like the dark swatch best, I think. The silk seems to shine out more. I love the purples in the lighter one! Can I just say that I <3 silk? Ok – what is a silk brick? I think it is some sort of roving, or is it like a silk hanky – only bigger? Would love to receive one to find out! That is gorgeous silk. I like both combinations. I like the darker color, even though it doesn’t pop as much – it has a very rich, earthy tone. I like the first swatch with lighter color added to the silk. I love how plying unlike fibres can have unexpected results! The light one is my favourite. That silk is so inspiring. Love the color! I like the lighter, but I always like to see these plying experiments. And silk is my downfall. I can’t resist it in any form. They are both lovely. I can’t pick a favorite. I like the lighter colour just a smidge better. I would love a silk brick of my own, I can just imagine how wonderful it looks and feels in real life. I prefer the lighter colourway, both in the fibre and the swatch. Both look nice; I really enjoy this series of showing the various steps and blends. I’m a novice spinner and learn a lot. Absolutely beautiful…I just love the feel of silk. Please include me in the contest. That teal silk is just gorgeous. Silk … I have been dreaming of silk recently! A lovely brick of silk sounds like just what I need to get me back to spinning… Well, a lovely brick of silk and an extra 24 hours per week. I think I prefer the darker one, but I am a sucker for jewelly tones, and that is what comes out in that one. The other is lovely too! I wonder how different the effect would be if the 2 were blended together before spinning? That is some very lovely fiber. Beautiful colors! I’ve always wanted to try Briar Rose! Looks beautiful. That is so gorgeous! Absolutely stunning! Man, does Briar Rose do the best job with colors or what? I always temporarily black out in their booth at Rhinebeck and somehow come home with armfuls. Now that they’re doing silk, I know I’m in trouble! This silk looks yummy. I would love to try my spinning skills on it. Oooooh so pretty! I hope I win one! Mmmm…I’m a sucker for silk, especially for beautifully dyed silk!!! Count me in! Garnet ser sÃ¥ herligt ud og jeg vil meget gerne vinde. The yarn looks so lovely out and I’d love to win. I’ve wanted to experiment more with spinning silk. Briar Rose would be a nice start! 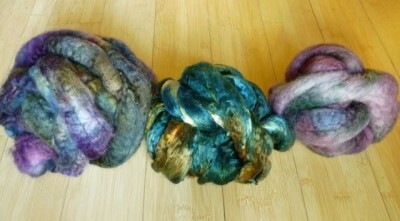 All three fibers are gorgeous! The swatch plied with the lighter colorway is the one I like best. Really sets off both fibers. I agree with you: both are lovely. Though my first thought was that I’d prefer the lighter one, when I saw the swatches side by side I liked the darker one best, but really, the other one isn’t far behind: as I said, they’re both lovely. I like the blue brown one. I am in love with blue brown these days. I love this one plied with the darker BFL. So lovely! Briar Rose is one of my favorite dyers. Both samples look lovely. I like the lighter one. But, they are both beautiful! Oh, Silk! Yet another reason to put Briar Rose on my top list of I wish I could afford it suppliers of yarn, fiber, and overall goodness. As to the swatches, I do like the lighter one better. It has a warmth that is both unexpected and asthetically appealing. However, I do agree that the two samples paired together would work very well with the warmth of the lighter of the two playing off well with the mysterious of the darker for something rich, luxurious, and beautiful. They’re both lovely. 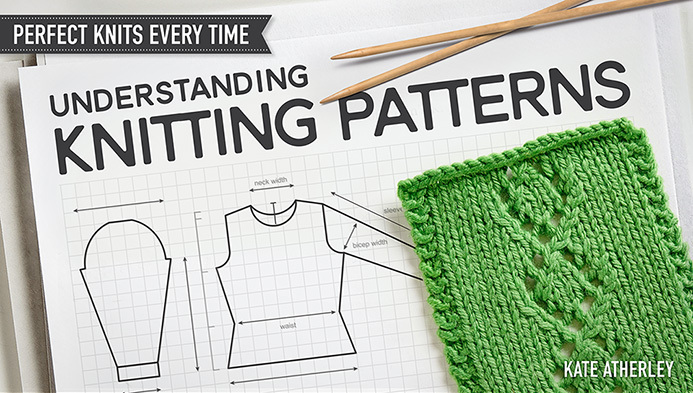 How would it look if you knit all 3 yarns together? I’d go for the lighter, it brings out more of the colours. Although the darker is a good fall/winter colour too… Decisions, decisions! I would love to be the new owner of a silk brick. And then I would know exactly what that meant and, more importantly, I’d get to fondle to my heart’s content! I actually like the lighter sample best, but they’re both beautiful! I’ve been admiring Briar Rose Fibers for a while now, but I couldn’t spin any of it because of a wool allergy. Super happy about having a silk option! Looks beautiful, but I am curious about the make up of a silk brick. I am familiar with hankies and caps – whats a brick? Beautiful and shiny, what more could one ask?!?! Beautiful fiber! Personally, I prefer the darker combo. Geez, I’m not familiar with the term “silk brick” and would love to find out. 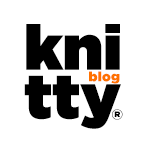 Thanks Knitty! Those are some pretty colours…. Ooooo. How lovely! I’m learning to love spinning with silk, so this is perfect for me. I’m totally falling in love with silk lately, both for knitting and spinning. My favourite part of it, I think, is the different looks you can get with it, depending on the preparation. I love the light BFL with silk! Lovely! I love the way the gold-ish tones pop out in the darker swatch. I love the darker swatch, although the other is lovely too. The fiber is just beautiful. I’d love to try it. Briar Rose fibers are awesome. LOVE the colors! I’m always amazed at how rich silk dyes up. It’s such a great thing to spin! I think you are right – both versions worked together, would be a winner in my book. Oh I’d love to work with either one – or both and more. It’s all so inviting. both are lovely though I think I am drawn to the lighter one, perhaps still yearning for more sunshine than Ohio will get come winter. I don’t understand color blending at all! Though my workplace just inherited several bags of dyed locks, so maybe I’ll have a chance to experiment and learn a little. Oh my! Silk is far out of my budget but oh so beautiful. I’ve only just started learning spinning, so all this color experimentation is so much fun! I love silk, and that blue/green/gold brick looks particularly lovely. The darker swatch is my preference; it just looks “richer” – at least in the photo. What a great example for convincing everyone to do samples! I would have thought that the darker BFL would have worked better, too! I hope your kids have an exciting first day of school. September always brings the start of something exciting and new. Hopefully it’ll bring me some silk, I LOVE silk for spinning on my drop spindle! Thanks team Knitty! I like the lighter colour. The darker swatch is nice too, but the lighter one just calls to me. Gorgeous! This is a great way to welcome fall… love these Spinning Tuesdays! I love the darker swatch. Such lovely, rich colors! I actually thought the darker one would go better as well. After seeing them spun and knitted I prefer the lighter one. You always give me something to think about now I wonder what my stash could surprise me with? I thought the darker as well… we live and learn, right? I like the lighter one! I think I like the lighter one, it seems to show off the shiny from the silk a little better. I love the samples, both of them! You’re so lucky to have had a chance to play with that silk! silk is the best. it’s so smooth and delicate. I would have expected them to come out the other way altogether. That’s part of the reason I find spinning so fascinating. Thanks for introducing me to Briar Rose silk. Both are beautiful, but I’m surprised to say I like the lighter blend. I’ll have to check out Briar Rose, thanks! I got the most beautiful yarn from Briar Rose at the Madison Knitters’ Guild Knit In that is now a beautiful lacy cowl. Love Briar Rose! I’d love to try some silk on my new Sonata. heart. 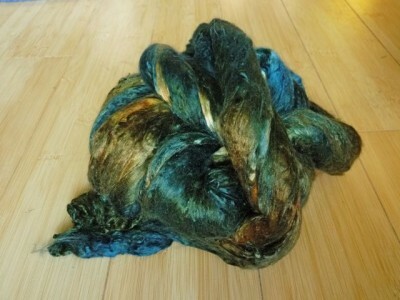 I just started spinning silk yesterday – yummy stuff! Tough choice, but I am leaning towards the darker hued sample. I have always wanted to try spinning silk, but terrified I will mess it up. I might have to think harder on trying now that I have seen your samples. Thanks! Sounds great. Count me in. Beautiful! I like the silk plied with both colors even the one close in shade is lovely. They are just different. I prefer the lighter colorway. Beautiful! For this, I would learn to spin. I like both, but would probably use them for projects I wanted a different feel for. Both lovely, and I really love the original silk colours. Beautiful. I definitely prefer the darker colorway. It’ll be interesting to find out the statistics. Do let us know. Thanks. What pretty silk! I’m a sucker for anything in dark greens and blues, so it suprised me that I like the lighter one of your samples better. Both are lovely though. Beautiful colors! They truly brighten a dreary day! Gorgeous colors . . . I’ve always wanted to learn to spin silk . . .
Oh boy oh boy would I love to work with that silk! I also expected to prefer the darker combo, but ended up really liking the lighter one. Some day I will have the time to do those kind of experiments! I can see how much you can learn. Wow, those colors are gorgeous! Those are both beautiful, but I simply adore the one on the right, with the darker colors! The swatch looks so lovely and jewel-toned. I echo other comments, I would have chosen the darker prior to the spinning but actually prefer the lighter blend. Seems clearer to me. I would love the chance to try spinning the silk, yummy. I like both swatches! Maybe a nice sweater from the lighter and a pretty shawl from the darker. I imagine they are even lovelier in person with the silk sheen. Thanks also for the chance to win some silk to spin! I personally like the darker one better, I like the way the colors blend a lot. I’m a new spinner & would love to get my hands on some of this! Beautiful colors, I like the darker finer one on the right. I love the idea of plying silk with wool – all your sampling is really inspiring, makes me think I should do more of that myself! My daughter just moved to Texas and asked me if I could please spin something other than wool. The silk brick would be perfect to spin for a Christmas gift for her. 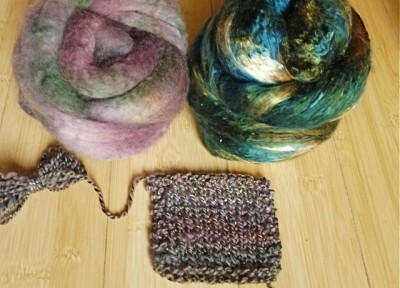 I like the lighter BFL swatch on the left. It seems softer in the way the colors blend. I love these spinning posts where we can see how different fibers look spun or plied together. It’s very helpful for a new spinner like myself. I like the darker swatch. Thanks for the chance. Wow I’ve never seen anything like a silk brick before. It looks wonderful. What a combo: silk & wonderful color! Looks like sweaters to me. I just love the Briar Rose Fibers murk. And the dark swatch. Definitely the dark swatch. I’m with you. I think both look lovely and I’m sure either version will be a winner. I, too, am always surprised with the difference between the colours in the dyed fibre and the spun yarn. I realize that this is often due to the fineness of the yarn (finer yarn = smaller colour patches = more blending = sometimes mud), but no matter how much I try to mentally picture it before I start, I’m often way off the mark. They’re both lovely, but I think I prefer the darker colorway. The silk just shines! I prefer the darker of the two because it seems to pick up the shine of the silk a bit more. I’ve never worked with silk before! This would be great to give it a try without having to invest too much money into it. I’m loving the combo! Both would look great worked up together! That silk is GORGEOUS. I would love some! I love the darker of the two. Thought I’d like the darker but I think I like the lighter. Te silk is beautiful! Super nice stuff! Thanks for the opportunity! I like the darker, but that may be because I can see more green in that swatch. How beautiful! I’ve been wanting to try my hand at silk for a while, what better time than now? I must say I like the darker version but wouldn’t say no to the lighter version. They are both lovely. Beautiful! I’m not usually a fan of such contrast in colors for spinning, but this looks amazing. Would love to knit with this!! Beautiful. I’d love to spin some silk. I like the dark one better–it just seems more rich and luscious. But then, I’m typically a saturated-hue gal. I’d go with the lighter BFL and the silk together–they seem much more harmonious as a knitted yarn. Either way, whatever you spin up will be gorgeous! Both are lovely, but I’m partial to the darker one. So many possible projects! what a fun giveaway. woo-hoo for fall and for silk. Briar Rose is always my first destination at Rhinebeck. I have never spun silk, but I’d love to learn! The colour is just beautiful! The dark has such jewel tone qualities…. Garnets, sapphires, emeralds and golden settings…belongs in a Jewelry Store. love it! Mmmm, silk – I like the darker one, though I wouldn’t have originally chosen either of those for plying! They’re both beautiful! I would love to try some Briar Rose Silk. My first real spinning output was Briar Rose BFL in 2008! Very interesting! I’ve just started spinning so you’ve given me a lot to think about! Ohhhh, that silk looks EXACTLY like peacock feathers to me! Might almost be fun to add some in…. I think I like the light one best…I’m sure they are soft, soft, soft! Oooh, spinning with pure silk – that must be heaven! I’d love to win a silk brick in those lovely colors and try it out! I like the dark, but blue is my favorite color, so I’m probably biased. I like the darker one. No, I like the lighter one. No, wait..
Beautiful swatches! Hard to decide. I may like the darker one a tad better. They are both so lovely and choosing between them is difficult. I think you are right about making something with them together. However, if I had to choose, I think I would go with the darker one. I’ve never had a silk brick, and I hope I win one. I second Isabelle. Beautiful swatches! I love the dark one, it just seems richer somehow. very nice! I like the lighter colorway. Silk bricks? Ooh, yes please! 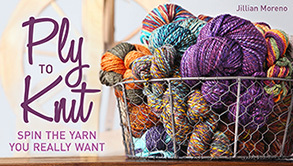 I love the Spinning Tues columns – they’re my favorite of all the wonderful things in Knitty blog! Can you spin silk on a hand spindle? wow, that lighter one surprised me. I like it! Both are really good. Spinning silk worsted – I am in awe of the skillz implied in that simple statement. Thank you for an amazing giveaway. I like the darker one. Beautiful! Love Chris’s stuff! Pick me! wow! Beaautiful! I love them both. I’ll throw my hat in the ring. I’d love to try spinning silk, and the “shades of dirt” colors look interesting. Love the colours. I have never spun silk but would love the opportunity. Love the way silk takes dye. Can you spin silk well with a drop spindle? I’m more of a knitter, but have done plenty of wool spinning, and would love to branch out. The colors are amazing! It’s really hard to choose between those two – I think I might like the lighter one better? Although I’ve been vascillating back and forth, so I’ll probably change my mind by the time I hit ‘submit’ ; ). Very beautiful. Thanks for the giveaway. I like the darker one better, but both are beautiful. I like the one on the right, the darker one. Thanks for the giveaway! I love the darker blend. Your pictures make it look like it shimmers. Totally lovely even if you don’t see as much silk content as you would like. Looks wonderfully silky to me! Love both swatches and agree that they would work up beautifully together. mmmm- both look pretty good. I really like the look of the darker one. Interesting. I was really struck initially by the light coloured blend. I thought it lifted the dark of the silk just enough. However, I really like the blend of the darker colours in the second swatch. It strikes me as fall when I look at it, and I guess I’ve now got fall on the brain! The first swatch is still nice but makes me think of summer. This is gorgeous!!!! Beautiful colors!!! I love Briar Rose Fibers!! Bought a sweater’s worth of yarn at the Great Lakes Fiber Festival a few months ago and can’t wait to knit it up. Spinning some of the gorgeously dyed silk would be a real pleasure!! Both samples look lovely. They are like sisters. They are related but equally lovely in different ways. It would be fun to design a project using both yarns. If I could choose only one it would be the lighter one. It shows the colors off better. Spinning silk kind of scares me, which must mean I need to practice more. Wow, I love the darker one. And spinning silk – yum! At first glance, I liked the darker one, but looking longer made me favor the lighter one, more nuances I think, thus more interesting. I just want to run the silk all over my body! The lighter one is heavenly. Spinning silk is such a treat–and then making something gorgeous to wear from it is all the better! And after a lot of back and forth, I’ve finally decided that I have a slight preference for the darker swatch on the right. The colors of the silk are just gorgeous and I absolutely love how it blended in the darker swatch. I really like the darker one. The colors are so rich. They are both beautiful, but if I had to choose only one, I would go with the lighter blend. It has a little more depth to it. I love fall and I LOVE Briar Rose! Wow, it’s gorgeous. I’ve never tried spinning silk. I love them both but think the dark one has more drama. I’ve heard silk is difficult to spip. I can see these being knit together. Something that would go from one shade to the other. I like how they turned out. Impossible to choose – either would be fantastic! I was just on the briar rose website this morning, looking at their rovings. The silk is beautiful! They are both lovely but the autumnal qualities of the darker has it in my books! Lovely silk. I think it looks great with the darker BFL colorway. I like the light with dark. Would love to try spinning silk! I like the darker one, but I’m drawn more to jewel tones than pastels. But silk and BFL together, mmmmm yummy. I rather like the darker version, mostly because I think it lets through more of the silk colors for being closer in tone to it (and I’m biased towards green/blue/teal colors) 🙂 Both are, however, absolutely lovely! 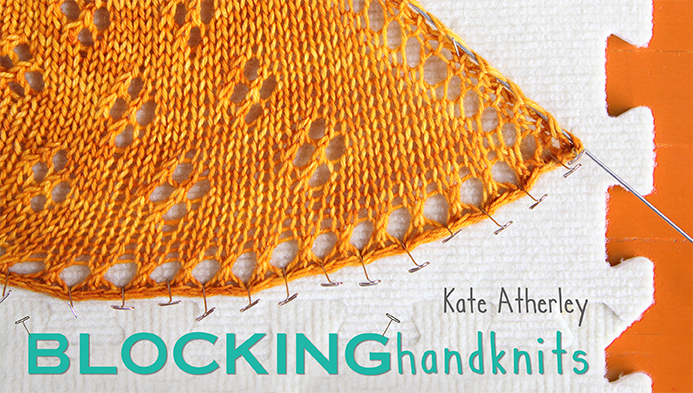 I’ve worked with silk hankies and roving before, but never bricks — sounds interesting! It’d be interesting to try spinning silk! I like the darker one. I think it would look lovely with dark jeans, or black…nice color combination. I am usually more into jewel tones, but your combo seemed to speak to me…. I’ve been on a terrible dark kick lately, but I think the lighter one blended gorgeously. I’d love to try spinning silk brick; I have been jonesing to try hankies and I’ve loved the blends I’ve spun! I prefer the darker one, it has more oomph. Have never had silk brick to try; done plenty of tussah silk top and a few hankies though. I love the darker one, I do love the earthy tones. Reminds me of the beach actually with the blues and browns. I like them both too. And I think I agree with you that they would look good worked together in something. OOOOH Silk! What a wonderful fiber! And the colorway you got is gorgeous. Wonderful color combinations! I agree that the lighter one is more eye-catching, even though I would have chosen the darker combination in the roving. actually I like the darker combo, it has a bit more jewel like quality to the colors. the lighter one is a bit to faded for me, but both are lovely. I can see how both would create something lovely. I have never spun silk, but I just learned to spin woolen. Pick me! I’m drawn to the darker colorway. This is gorgeous, as is everything I’ve seen Chris dye. Count me in! Beautiful! I like the darker colourway mixture. I usually like darker colorways, but sometimes one has to see the ply up close to be really sure. Wow! Beautiful colors, difficult choices. But a wonderful dilemma! I love this! And I also would have gone for the darker but love the lighter one more than I thought. Guess I need to sample more and be surprised! I choose the lighter one, and that is not the roving I would have picked! Just got a new wheel and haven’t tried silk yet. If I don’t win, I’ll have to see if I can get some from them at the WI Sheep & Wool fest this weekend! I love the almost jewel-like quality of the darker one, but i loved more the lavender purples and lilac of the lighter one combined with that earth tone shine. It reminded me of fairies and earl grey tea for some reason. The Briar Rose Silk is beautiful! Those turned out beautifully! Would not have thought to ply either combination together, what new possibilities that opens up! Definitely the darker one for me, it’s sexier.